Trilogy’s executive team boasts decades of experience in the property and financial services sector. The vast knowledge built up over the years has facilitated the successful management of millions of dollars through popular mortgage trust products such as the Trilogy Monthly Income Trust. Managing Director Philip Ryan’s voyage from fledging investor to the co-founder of Trilogy has been littered with challenges – and ultimately – success. Here, he recalls some of his early trials and shares why products such as mortgage trusts are growing in popularity with investors seeking to progress their own investment journey. I think I’ve always had the mind of an investor, though it took a high school mathematics exercise to really ignite the spark that set me on my journey. 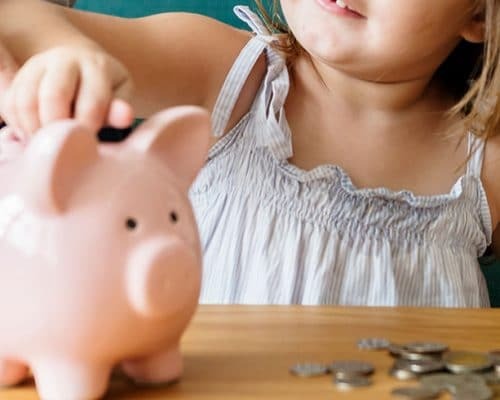 As a young school boy who worked part-time in a local garage, I was acutely aware of the value of money and the effort required to accumulate a decent savings account. We’d been learning about shares in class and once I understood their earning potential, I was eager to get involved. It was 1974 and the insurance industry had taken a pounding following devastating floods in Brisbane and the impact of Cyclone Tracey in the north of the country. I took the money I’d saved from my after-school job and invested in an insurance company whose share price had plummeted amid the natural disasters. When the value rebounded in my favour, I was hooked and couldn’t wait for my next opportunity. It wasn’t all plain sailing in my early days as an investor. I continued to adopt a contrarian strategy, purchasing what I perceived as undervalued shares including mining and oil, and buying into a paper manufacturing business and the finance company controlled by Reg Ansett. When that company collapsed, I learned a tough lesson – I lost 100% of my investment and got my first taste of the emotional side of investing. The 80s also proved challenging, especially the 1987 crash, where I was again forced to look inward and try to assess my own investment profile and tolerance to risk. I certainly endured a few sleepless nights, but was also motivated to understand more about myself and improve as an investor. To stay motivated, I read biographies and drew inspiration from the tales of other investors – in particular Benjamin Graham – who mentored Warren Buffett. I improved my financial education, focusing on postgraduate studies in economics and finance, and learnt from the successes – and failures – of others. Soon my attention turned from shares to other investment opportunities, which ultimately led me to property. I felt property gave me more control over my investment as I wasn’t at the mercy of decisions made by a company board I knew nothing about. I could see ways to add value to property and it seemed to offer more stability than other investment vehicles. My passion for property heightened in 1998 when as a partner in a Brisbane law firm working closely with a team of specialist property professionals, we sought to offer more diverse solutions to our clients. A timely merger in 2004 with the former directors of the successful Challenger Financial Services firm – Rodger Bacon and John Barry – led to the birth of Trilogy Funds Management, which is now simply known as Trilogy. Together, we became a leading fund manager, calling on an extensive arsenal of property, share market and international money market knowledge to provide the development and construction industries with finance through offering investors access to competitive monthly income producing products such as mortgage trusts. Investors rallied to our mortgage trusts, drawn in by their resilience compared to more volatile investment classes. For the uninitiated, in a mortgage trust, loans are secured by registered first mortgages. A pooled trust spreads risk across numerous mortgages rather than being totally dependent on the performance of a single asset. This broad exposure adds diversification of an investors’ portfolio and mortgage trusts can deliver a regular monthly distribution that is not seen by other more traditional investment avenues. Since its launch in 2007, our own Trilogy Monthly Income Trust has seen consistent monthly returns despite often highly challenging economic conditions. Spread across more than 50 loans in Queensland, New South Wales and Victoria, the Trust has delivered average returns of 7.85% p.a. net of fees since inception to 31 May 2018, including navigating the Global Financial Crisis (GFC). More recently the Trust delivered a return of 7.71% p.a. net of fees, for the month ended 31 May 2018. Aside from the performance of the Trust, it gives me great pride to know that each loan included in the Trilogy Monthly Income Trust has been the subject of rigorous investigation by a highly skilled team that is dedicated to only financing assets that share the right balance of opportunity and risk. It is also a source of confidence for our valued clients, who appreciate the ‘touch and feel’ approach Trilogy has taken with all its investments on their behalf. Having clients recall their positive experiences with the Trilogy team and our products always brings me back to the early days of my own investing, and how valuable expert knowledge and experience can be. I certainly could have saved myself some pain – and some money – had I been aligned with a team like Trilogy as a younger man. Today, I’m firmly focused on growing our business. Outside of our pooled mortgage trust, we are seeing positive returns from our assets under management and look forward to having some new product offerings come to market later this year. Becoming an investor is challenging. As you grow and learn, you’ll experience highs and lows – and probably have your fingers burnt on more than one occasion – as I did. The key is to be prudent with your investments, make informed decisions around risk and seek appropriate advice for your own financial situation and stage of life. Investing can bring reward and financial security to you and your family, so get your journey started. Remember, “the journey of 1000 miles begins with a single step” – Lao Tzu. Interested in learning more about Philip Ryan’s investment mantra? Check out the lessons that can be learnt from instability and global markets or if you’re looking for more on mortgage trusts, explore our current investment opportunities.